Bank-e Millie Afghan BMA is a state owned bank. 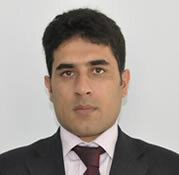 Kawun Kakar presently working as Advisor to the Ministry of Justice in Afghanistan Justice sector support program in U.S Department of State/INL from 2006 till now and also being as CEO of Alokozay Resources International. Kawun Kakar had previously worked as Advisor to the President and Deputy-Chief of Staff in Government of Afghanistan from 2005 till 2006. He also worked as Liaison Officer in United Nations Assistance Mission for Afghanistan from 2004 till 2005. United Nations Legal and Political Advisor for Constitutional Commissions and Constitutional assembly from 2004 till 2004 Head of Political Section in Nangarahar Regional Office UNAMA from March 2002 till July 2002 Associate Attorney in Law offices of Leonard Becker, Hayward Ca from 2001 till 2002 Human Rights Officer in United Nations development program, Islamabad, Pakistan from 2000 till 2001. 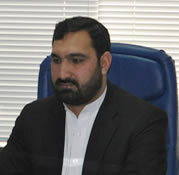 Ahmad Khesrow Zia Gadakhiel is presently working as acting CE0 in Bank-e Millie Afghan, had previously served as Deputy CFO in Da Afghanistan Bank (Central Bank of Afghanistan) and Gadakhiel also worked as a Accounting Manger in DAB for one year. 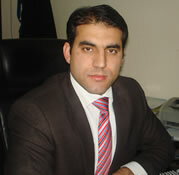 Gadakhiel also worked as a Budgeting and Planning Director for three years in Da Afghanistan Bank. Ahmad Khesrow studying his MBA in Finance from American International University of Management Technology on Distance Learning basis and Gadakhiel holds his Bachelor’s Degree in Economics from Kabul University and he also attend some training courses like (Core Banking System, AFTS, Data Base of General ledger System, Auditing and Management) during the year 2007 in Da Afghanistan Bank - Kabul, Afghanistan.